Sri Ramanuja's commentary on the Bhagavad Gita is not so widely known as that of Sri Sankara. It may be due to the fact that Sri Ramanuja came about three centuries after Sri Sankara. To have a comparatively full knowledge of Vedanta, a study of Sri Ramanuja's commentary on the Bhagavad Gita also is essential. In Ramanuja's interpretation of Vedanta, devotion to presonal God and His grace are stressed as the exclusive means for release from Samsara or the Cycle of births and deaths. It is for the benefit of such devotees that we have been induced to bring out this publication. 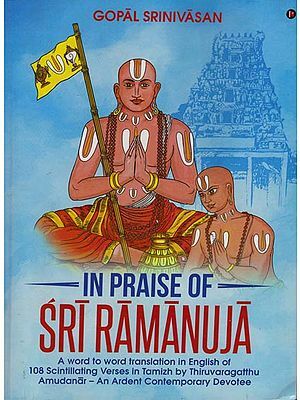 Sri Ramanuja is one of the noted commentators on the Vedanta Sutras of Badarayana, and the Bhagavad Gita. This has brought him recognition as one of the greatest exponents of Vedanta from the Vaisnava point of view. He has not, however, written any commentary on the Upanisads unlike Sri Sankara and unlike several other exponents of Vaisnavism. The explanation given for this omission by his followers is that as most of the essential passage of the Upanisads occur in Badarayana's Vedanta Sutras, Sri Ramanuja's commentary known as Sri Bhasya should be considered adequate as a commentary on the Upanisads also. The translation of Sri Ramanuja Gita Bhasya has been done by Swami Adidevananda. He was a distinguished member of the Ramakrsna Order of Sannyasins. He, however, retained his inherent Sri Vaisnava heritage. This is not at all incompatible with the traditions given as a legacy by Sri Ramakrsna and Swami Vivekananda. Swami Adidevananda has to is credit several other Sri Vaisnava texts, like Stotraratna and Yatindra-Mata-Deepika. 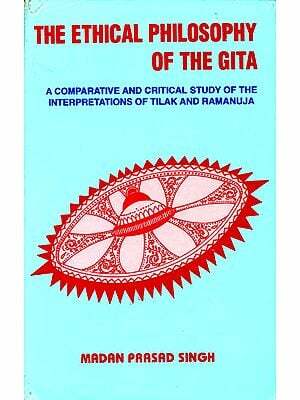 His present translation of the Gita Bhasya is of special importance, because it is the only translation with the original Sanskrit text now available for readers interested in the philosophy of Sri Ramanuja. We are only sorry that it is a posthumous publication, because Swami Adidevananda, who was then in charge of Sri Ramakrsna Asrama at Bangalore, passed away in 1983. This publication is undertaken with considerable financial assistance from Sundaram Charities, headed by Sri T. S. Santhanam, Chairman of the T.V.S., which is one of the most prominent business concerns of Madras. Our grateful thanks are due to him for enabling us to undertake this publication and offer it to the public at a very modest price. The translator of this text is Swami Adidevananda who was the President of Ramakrishna Math of Bangalore. He passes away before this publication of this translation. He has translated some other books of great importance, especially to Vaishnavas. Some of these are - Stotraratna and Yatindramatadeepika.